Updates to Joel R.'s profile since your last visit are highlighted in yellow. Married Susan Miller (class of '73) (June 22, 1974), who graduated from Alt. Hosp. School of Nursing. Joel attended Grace College (IN)('71-72), graduated from Grace Bible College. Pastored churches in MI and PA for nearly 25 years. 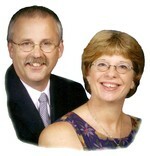 Since 2005 has traveled as an evangelist with Bible Doctrines To Live By of Grand Rapids, MI. Became the Executive Director in Jan. of 07. Has traveled around the world speaking and teaching in England, Scotland, Wales, Kenya, Brazil, Curacao, the Philippines and South Africa. In October of 2017 will be headed to Turkey where we will visit Biblical sites and teach their history and importance. We have also traveled the U.S. presenting a variety of Bible-based seminars as well as a six hour presentation on Islam. In addition Joel has written and published three books with a fourth currently in production. School, now there's a subject we all like to look back at and reflect upon with fond memories (even if our memories are a little clouded). What precious memories of rising early, chasing and occasionally missing the bus. Algebra, Geometry, whew no fond memories there. Although I have found myself using some of that in recent years and wishing I had paid better attention. You know, all those things we'll never use but they forced us to learn. I had a lot of fun during those school daze but I must admit that I never started living until it was all behind me. I look back now and often think how I wasted those years and the times spent with my circle of friends. Although I had given my life over to the Lord at age 13, I never surrendered my life until later. "I" wanted to teach school. "I" had lots of plans for success and wealth. But I found out that none of that matters in the course of time and that true success is not really measured by how much money one has in the bank or toys in the driveway. Success is what you do with your life. But even more than that, what you do with your life for others rather than yourself. The greatest gift I can give is life, and I'm not a doctor, never played one on TV, but I can make the gift of life available to anyone who is interested. It is the same gift of life I was shown and has given me peace and hope for over 50 years. It was there when I lost my father in 1988 and my mother in 2016. My wife also experienced it in the loss of her father (1989) and mother (2009). Jesus Christ came into the world to save sinners, that's all of us (Romans 3:23). But by faith in Him and His shed blood on Calvary's cross, the payment for that sin we can have life. This isn't found in religious ceremonies or sacraments but it can be your's through faith alone (Ephesians 2:8-9). The Bible is crystal clear, if we admit we're a sinner and believe Christ died for us then we will have life, and life everlasting (John 3:16; Romans 10:9-10, Ephesians 1:12-14; I Corinthians 15:1-4). I have found life and as I travel across the U.S. and around the world I have seen the hand of the Lord change many lives and give to them a hope and peace they had never found in their money and position. As we've seen, especially in the last year wealth can be very fleeting and position can come crumbling down. Bank accounts and investments for the future can become void. But our hope in Christ forever remains sure. It is the only thing you can truly bank on with confidence. Trust Him through faith and know that He loves you, died for you, rose again for you and one day you will stand face to face with your Savior. Joel R. McGarvey has a birthday today. Joel R. McGarvey posted a message. Trust you all enjoyed a very Merry Christ-filled Christmas. Praying you enjoy a truly Blessed, Christ-filled New Year. Remember, Christ is the only REASON, not one day a year, but every day. Joel R. McGarvey updated profile. View. Joel R. McGarvey changed "Now" picture. Joel R. McGarvey added a comment on Profile. 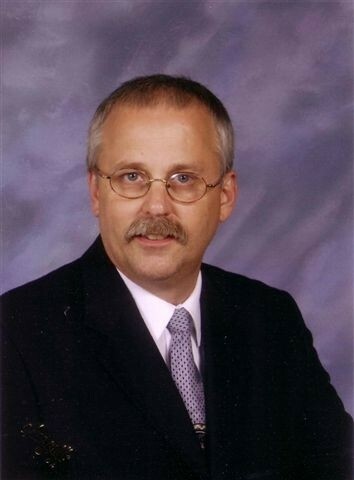 Joel R. McGarvey added a comment on Profile. New comment added.